Blog Auslandsjahr Neuseeland 2017/18 - hannahs-journey-nzs Webseite! 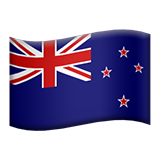 This is a bolg about my experience in my year abroad in New Zealand. I just don't have enough time anymore to upload regular, so whenever I have time I'll upload a post about an event that happend.